Long term hire can be arranged, please enquire. Trucks will only be hired out on week days, no weekend hire. Delivery of the hire truck to your premises can be arranged at cost. All vehicles are mot’d, taxed and cranes are loler tested up to date. All of Leicester Commercials Centres hire fleet are serviced and inspected thoroughly and up to date. 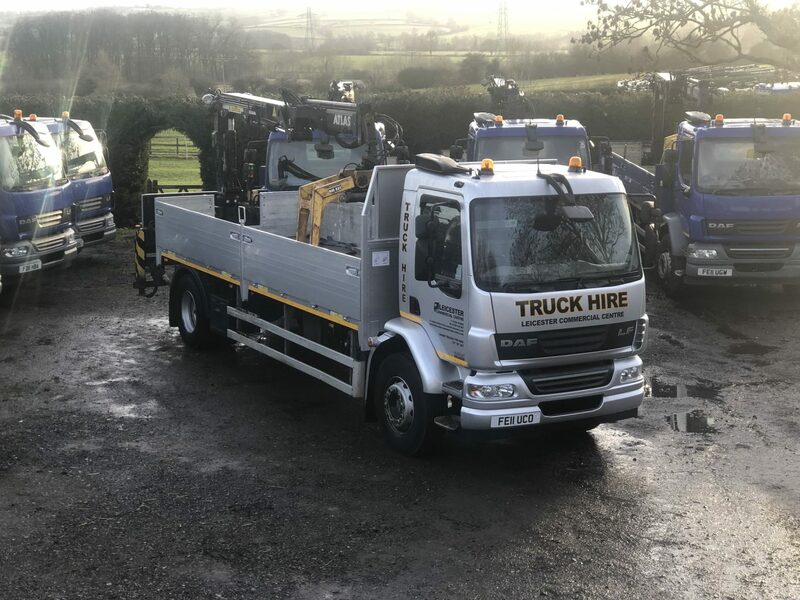 Full driving licence (class 2), a valid crane loader certificate and fully comprehensive insurance cover need to be provided by the driver for the entire hire period of use before any vehicles leave our premises. all driving licences will be checked by dvla. We will require full details your licence in order for us to be able to hire out a vehicle to you. you must also supply insurance coverage on the vehicle being hired. 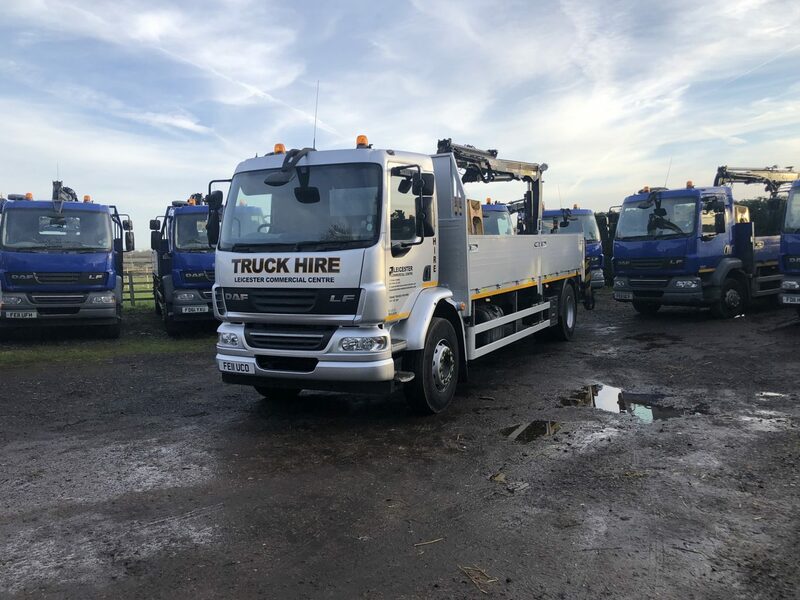 all drivers must be between the ages of 25 and 65 for all vehicles being hired, and must have a minimum of 2 years driving experience and experience with use of truck cranes. it is the customers responsibility to ensure that the valid operators licences are in place where applicable. For prices and availability, please call 07484543067 / 01664454686. Leicester Commercial Centre have over 100 crane vehicles for sale, varying from 7.5t to 32t, lwb/swb, front and rear mounted cranes, automatic/manual, ages range from 2007 to 2012. Please do not hesitate to give us a call on 07484543067 / 01664454686.